Your calling card. Your business. Your presence. I create websites that are anything but static, and can grow and expand just as you do. The websites I build are original, beautiful, and functional, and can incorporate one or more functionalities. After all, this is your presence we’re talking about. If one of my three website packages doesn’t fit your needs, I’m happy to provide a consultation and give you a custom quote. I also provide copywriting and copy editing, and set up email subscriber databases for websites. Need branding, graphics and media? I partner with StudioTrujillo for the creation of amazing branding, graphic design and video, optimized for your website. I highly recommend SiteGround, which I have used for years and is one of the best hosting companies out there. It comes with SSL’s for all domains, CDN, and is geared to help your site load fast and secure. But if you have a different hosting company already, I can work with that as well. Whether you want your site to be managed and edited by yourself, a colleague or an employee, all the sites I build are made with WordPress, the best and most user-friendly website software. I specialize in building sites with one of the best pro themes that exist – DIVI. 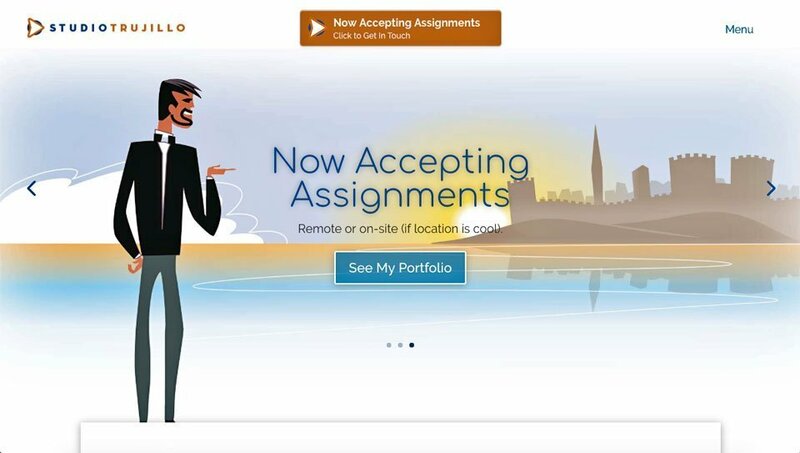 With this theme, your site can be visually edited and designed, on the front-end. All my sites come with DIVI lifetime license so your theme can always be updated to the latest version. All of the sites that I create look great not only on desktop, but are also built for optimal viewing on tablet and mobile. For the ecommerce websites I create, I use WooCommerce as the shopping cart software. Being the best in the industry, it allows me to configure loads of great settings so you can sell products (physical or virtual), services, and even registrations or memberships. And just in case you’re wondering, it can be spelled either way – ‘ecommerce’ or ‘e-commerce’. But Google gets more searches for ‘ecommerce’. I also set up and integrate MailChimp email subscriber databases and 3rd party integrations for printed product fulfillment, like Printful. I’ve had the great fortune to experience firsthand Amalia’s amazing talents more than once. She is a highly gifted writer and website designer. Her ability to listen, synthesize and then express through words and media the message of my background, mission and service offerings, quickly caught the attention of my target market. Amalia is passionate, purpose driven, highly creative and fun to work with. She understands and values the importance of target dates and deadlines. She has that rare innate gift to foresee the possibilities of her customer’s expanding service to society. She also is keenly tuned-in to the current trends of technology, social media, and leading edge ideas. I could go on and on but let me end by saying… she is a world class professional in her field. I have worked with Amalia for a few years now and absolutely love her work. She’s so creative, excellent with detail, always meets the deadlines and on top of that, she’s also very pleasant to work with. She is strategic with her tasks which helps me stay focused. It’s very apparent that Amalia is passionate about what she does and it comes through in her work. It’s nice to have someone on your side who regularly goes the extra mile! I’m so grateful for all the support, ideas and hours she’s spent on my projects. Thank you Amalia! 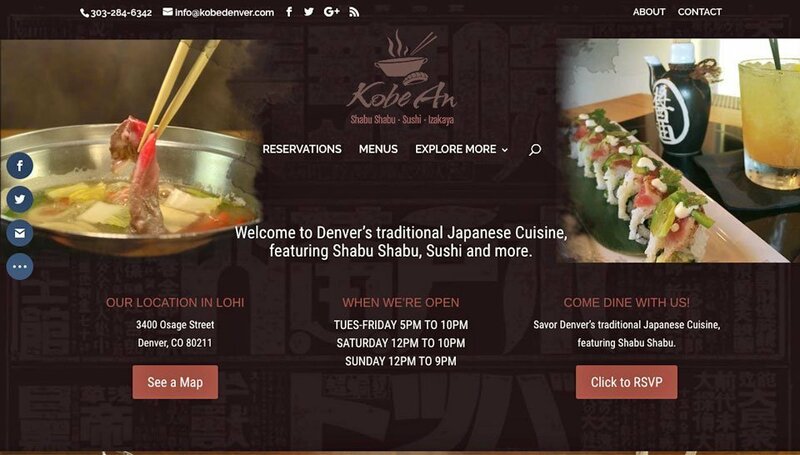 The restaurant site of Kobe An LoHi features the best place in Denver to get Shabu-Shabu. 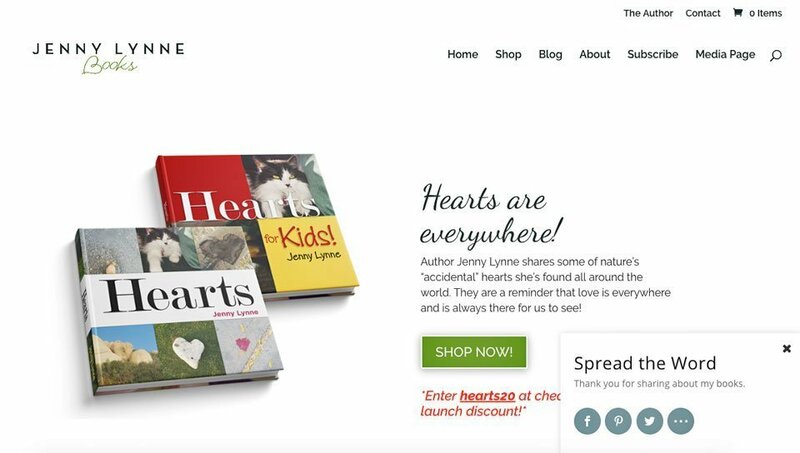 This site features author Jenny Lynne, and her two books ‘Hearts’ and ‘Hearts for Kids’. 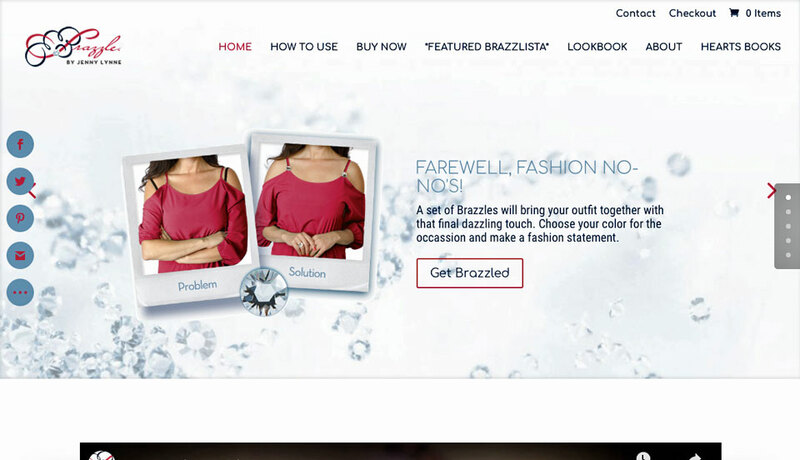 The site of Brazzle by Jenny Lynne, sells a fashion accesory that solves a big fashion no-no. 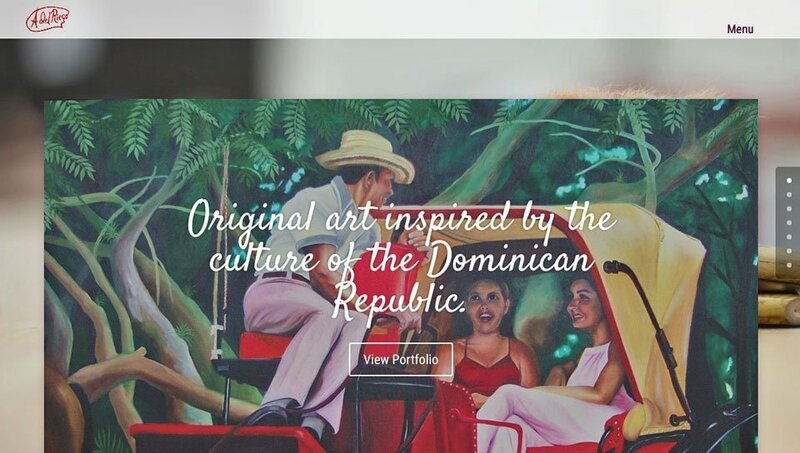 This site features the artwork and exhibitions of Spain-based artist, Angie Del Riego. The site of StudioTrujillo showcases the extensive portfolio of Brand Specialists and Art Director, Eric J. Trujillo. 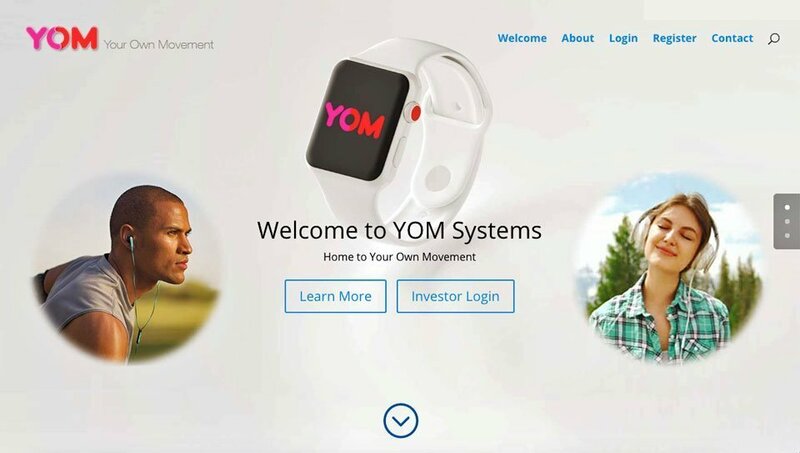 This site features YOM Systems, an app concept in the making that is seeking investors. 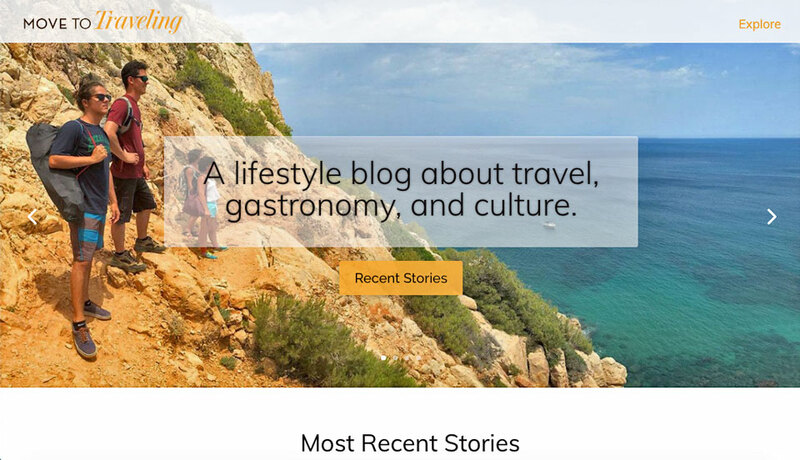 The site of Move to Traveling is a lifestyle blog about travel, gastronomy and culture.